Cristiano Ronaldo's Kids' Nike Jr. 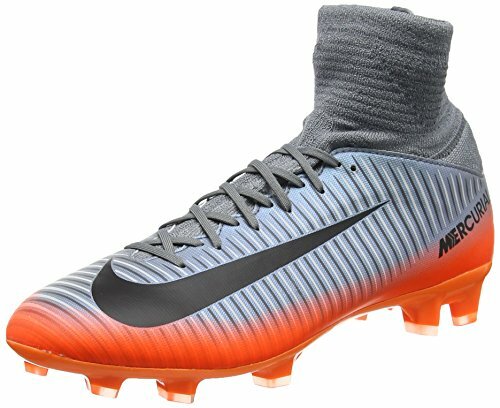 Mercurial Superfly V (FG) Firm-Ground Football Boot combines a lightweight contoured nylon plate with a revolutionary stud configuration and integrated ribbing in the upper to create a boot for today's fast-paced game. Lightweight compressed nylon plate is contoured to mirror the foot's shape. Updated stud configuration was developed using computer modeling to achieve the ideal balance of traction, torque and comfort.